DOG BUTTS AND LOVE. AND STUFF LIKE THAT. AND CATS. AND REVIEWS. 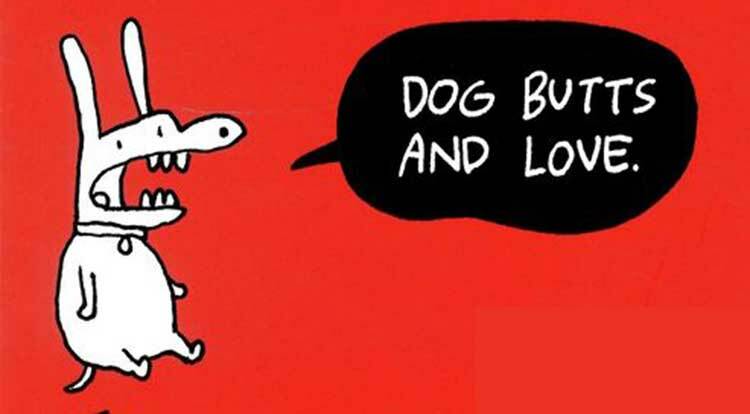 Cartoonist Jim Benton (best known for It’s Happy Bunny) released his first collection of web cartoons, Dog Butts and Love. And Stuff Like That. And Cats. through NBM. And based on the reactions from some of the critics out there, you’re missing out if you don’t check it out. “Each page of his Dog Butts … features a different comic, some simple one-panel cartoons, some multi-panel gag strips. The art styles employed are so incredibly different that many of them look like they’re the works of different cartoonists, with Benton affecting different design styles, different lines, different color schemes, different lettering and even different types of jokes throughout. There are a few that aren’t even jokes, but look like greeting cards, and read as heartwarming, if saccharine, affirmative statements. 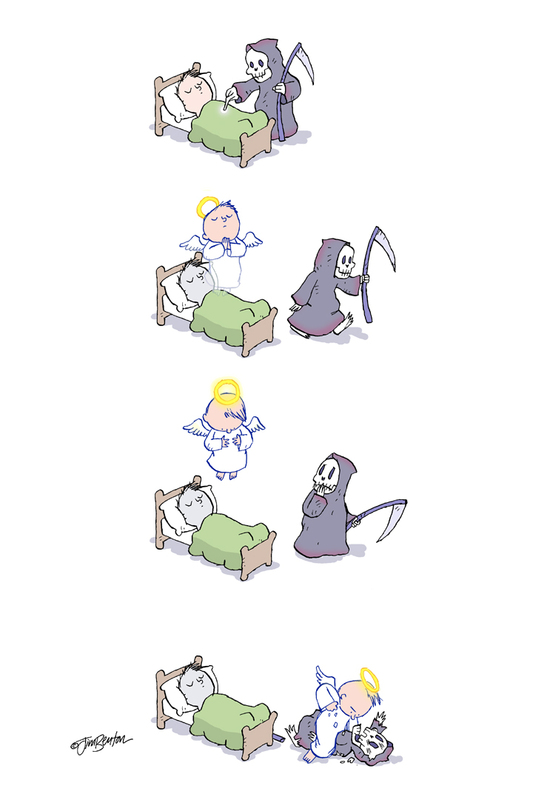 Some are dark and twisted the way some of the most memorable Perry Bible Fellowship cartoons were. Sometimes he works blue. Sometimes he presents work tame enough that it could appear on a newspaper comics page. Other times he presents perfect, wordless one-panel gags that look like better-drawn installments of Gary Larson’s Far Side.